nice addition or no ? they arent cheap. yeah some pics of them in machines really looked nice. thanks. A great addition but they don't enhance every machine, IMO. Look great on my Star Trek Pro…not so much on my Fish Tales. However, I guess one could argue anything looks better than the black sides! I think that anything on the sides improve the look of the game, whether it's mirror blades or side art decals. Depends on the machine really. TOTAN for example no, as 70% of the left hand side and 90% of the right hand side is blocked by ramps or assemblies. Actually I don't have them on my TAF. But I bet it would look good! Always good. Make sure they are grounded, and that any coils under the PF are covered with electrical tape around the lugs. Some games look way better than others. Games that have side ramps that come all the way down may not be the biggest improvement ever. If your game is LED'd it makes the game overall brighter with more of a glow, which is a great effect. Something you have to consider is adequate space between the playfield & cabinet, some being too tight are not good candidates. Why not use chrome vinyl? I am sure there a number of fine places but I have bought my B/W ones from Pinball Decals. Always pleased with the quality. And unlike some…they come with the needed tape and/or screws. Don't always assume your going to be getting those elsewhere. apparently they are very thin. 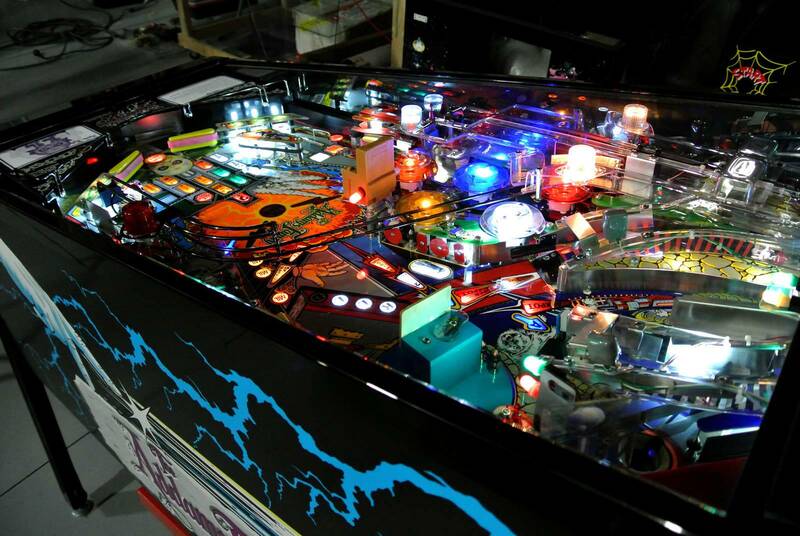 and still allow room for the movement of the playfield. altho suggested dont lift the playfieldi if you dont have to. 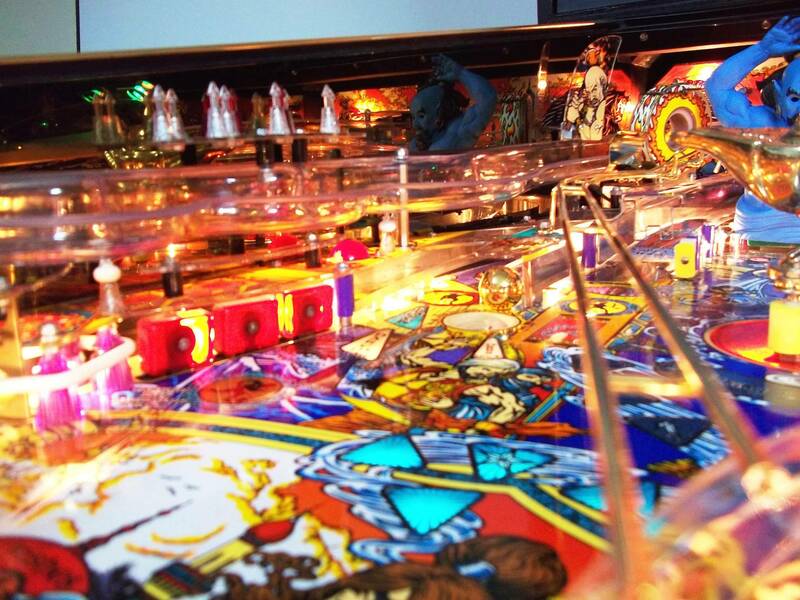 yes the ones at pinball decals look nice. they have two versions. have u got the regular or the mirrored gold/blue/black ? which are more than double the price of the regular. Are all these made of stainless steel metal? Mirror blades are made of metal, others have tried reflective vinyl and other things, but IMO the metal blades are the way to go. They are sort of a finishing touch on a really nice game, just give it that extra bling!! hey dg, is that right. you have 94 pins in your collection? wow. very nice. 0.8mm SS is the common thickness and the gold and black mirror metal undergoes a special treatment and the material is double in price just for purchasing - here in Aus a sheet of silver is around $125 and black and gold is around $250. Reflective vinyl will show scraps and imperfections in the cabinet side. looks great indeed. regular mirror blades or the colored. ? black/gold. 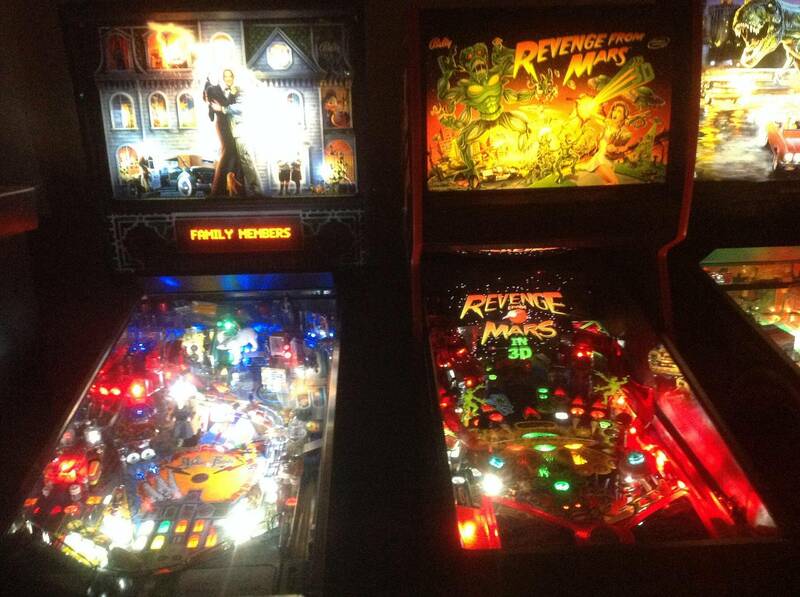 I have regular mirror blades on my Addams Family with LED's and my Elvis with LED's. On Addams Family they look good. On Elvis they look Fantastic. Not the best photo, but it is the only one I have since I put the mirror blades on. To me, the look of them is more subtle than I thought it would be. From the player's perspective, the mirror reflects far less than looking from the side. But they look awesome nonetheless. As an aside, wdpvideo sells them and he is awesome to deal with. Buy with confidence from him. 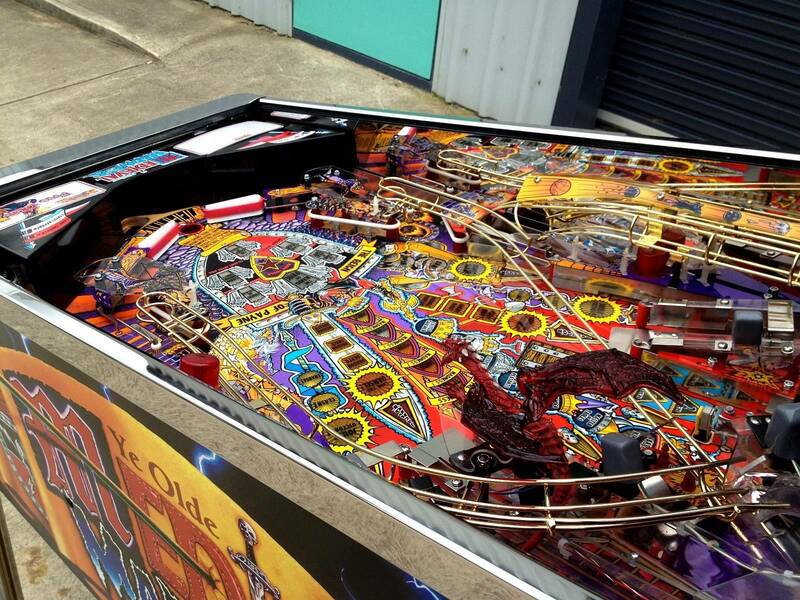 The clearance problem between the playfield and cabinet sides is greatest with older B/W machines that have cabinet warp that can be caused by improper leveler adjustment, age and storage problems. New Stern and JJP machines usually have sufficient clearance on the sides. 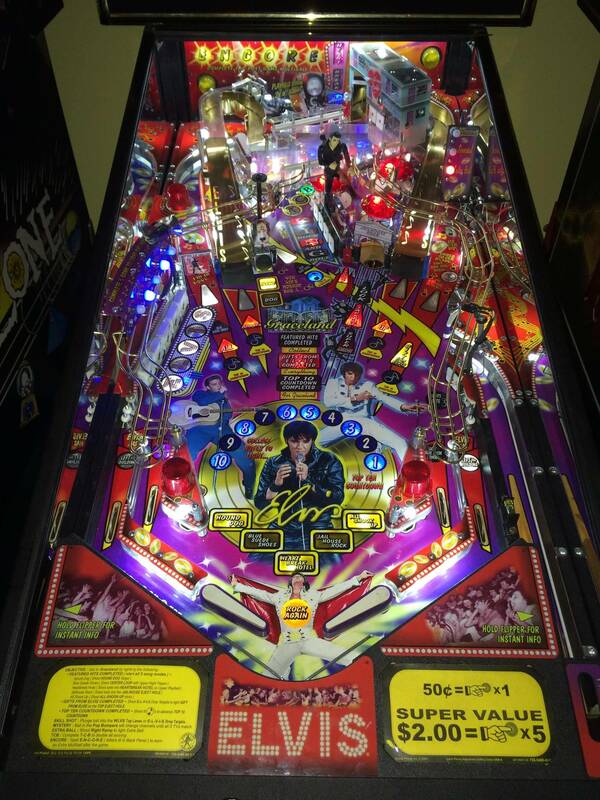 Cabinet warp can be seen when lowering the playfield you see a change in clearance on the sides as the playfield comes down. As an addendum to my previous post, when you purchase an older machine, it is best to avoid purchasing a machine that has cabinet warp or at least obtain an adjustment in the price. 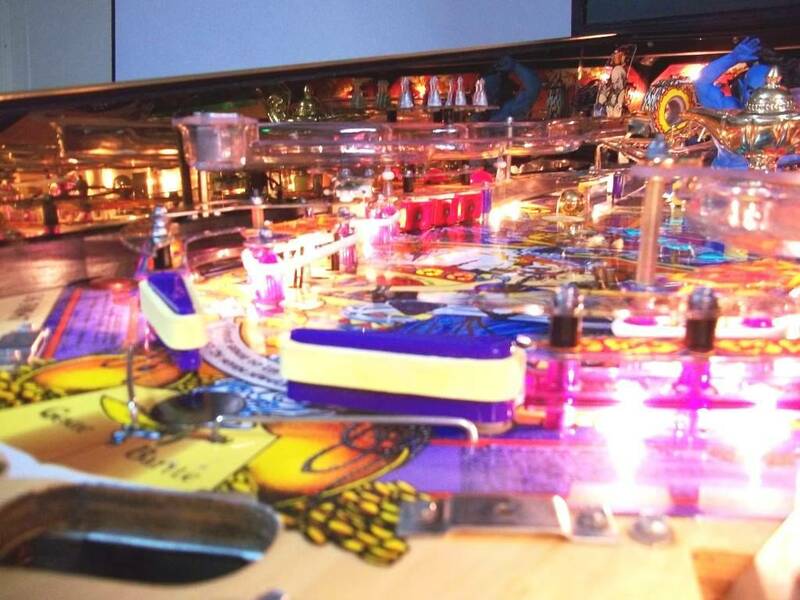 It doesn't help the playfield keep a level surface when the cabinet has a twist. Reversing the cabinet warp is difficult and a new cabinet is best. Thanks, it's taken 25 years, but I'm getting there!! I posted a long time ago about using construction paper draped over the side of the cab with these whenever moving. Don't bother with all the other crap on the side of the PF's, it never works right, and usually peels off. Even machines that are super tight can have blades with this method, as all the rubbing is done against the construction paper, and there are no marks on the blades after. I have most of my machines using mirrors (20+), and the only marks you will find are from the odd time in the beginning I was stupid enough to think I could do a quick partial lift with no worries without the paper. It moves around a bit, and it’s a pain with the extra prep, but it’s something that is needed whenever you are lifting the PF from here on out. I have mirror blades on most of my new sterns. Most fit easily and work great. My met premium is a different story. That cab is pretty funky and had no clearance and major pain in the rear. I was able to install but did incur some scratches. Still I believe it looks better then the black cab. More information please. And any pics of one grounded and a taped coil lug? i think it will look good on TAF, altho on the left side, due to the fairly high long ramps, it might not be as effective as the right side will be. i.e. a lot of the potential reflections will be lost./covered. nevertheless it will be a nice addition rather than the plain black cab. importantly, i will do this as the last part of my mods. LED upgrades, reflector to the bookcase, fester, decals, swamp light, etc all done first. the less u need to raise that PF, the better. Just to complete the colour trilogy, here is a set of swinks gold set in a TOTAN. b/w machines ground automatically, as the hinge bolt used to secure it is grounded inside the head. Sterns need a ground wire or braid. As for the taping of the coil lugs, just wrap black electrical tape around the solder lugs for the coils that are near or couple possibly come in contact with the inside of the cab. How difficult is it to install? Would it require removing the playing field? No. It's more of getting comfortable with it. I'll pull the pf up, fit them it, attach the front, pull the pf forward, attach the rear. However, every set installs differently, but none are hard. My first one took about an hour of figuring it out, after a few, like 10 min to install. Most time is taking care to not scratch anything. Mirror blades look great. Something to keep in mind though is they make them in different colors. The straight mirror/silver finish might not complement every game. Some games are better with darker sides, so you can invest in the black version. I believe there are also non-reflective colored versions you can buy as well, which may look better in certain cases. On modern Stern games though, I'd go with the mirror finish or other variation of reflective blade, they really work well on these games. Bally/Williams, I'd put more consideration into it, as those games are usually darker, the silver/mirror finish might brighten up the sides too much, so I may be more inclined to go with a darker finish for some of those.